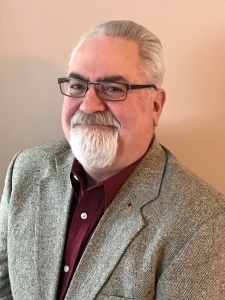 Plibrico Company, LLC, is pleased to announce that John Finch has joined its team as the Southeastern Territory Manager. Based in the greater Omaha, NE area, Mr. Finch, an accomplished refractory professional with extensive experience across the region, will provide technical support and develop Plibrico’s presence in the territory. His appointment supports Plibrico’s strategic direction of strengthening partner relationships as well as increasing its nationwide refractory support coverage. He will report to Norm Phelps, Plibrico Vice President of Sales. John’s talent and years of experience will be a great benefit to Plibrico’s clients and partners seeking growth, knowledge and genuine refractory experience. Mr. Finch began his career in the industrial market working with a boiler and refractory contractor. His background includes over 20 years of experience in technical and project management roles with several different refractory contractors. In these positions, he honed his skill set and areas of expertise including managing projects in power plants, boilers, foundries, heat treat facilities, and mineral processing firms. Mr. Finch is an active member of several different industry and refractory associations. He received his Bachelor of Science from the University of Nebraska.